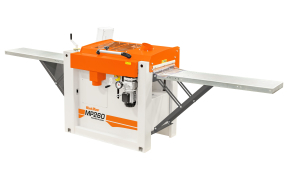 Introducing the Wood-Mizer professional workshop range of 4-sided planer/moulders. 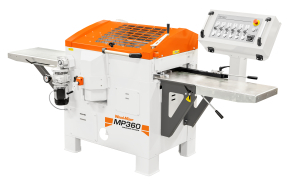 Offering two versatile and compact models, the Wood-Mizer MP260 and MP360 planer/moulders are built to last with heavy duty cast-iron tables, durable sheet steel chassis, and premium components. 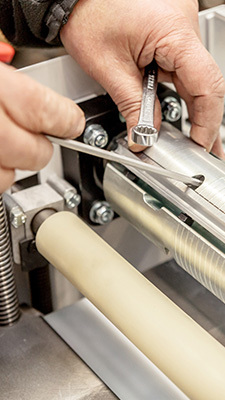 Engineered for professional woodworkers, carpenters, or joiners in the construction trade, Wood-Mizer planer/moulders can produce a variety of professionally finished products including flooring, planed boards, crown moulding, cabinet trim, paneling, door and window frames, furniture components, and more. 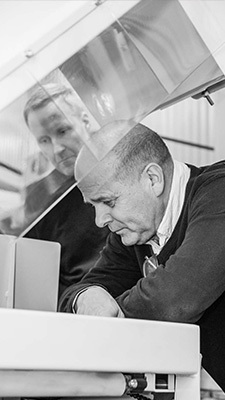 Proven in workshops throughout the world, Wood-Mizer planer/moulders come with a 30-day money back guarantee, 2-year warranty, and are backed by the same legendary service, quality and safety features shared by the entire family of Wood-Mizer wood processing equipment. Compact, versatile four-sided planer/moulder with 4 cutting heads, 5 individual motors, 260mm wide x 100mm high four-sided planing/moulding capacity, 2 - 12 m/min variable power feed, and 6,000 rpm spindle speed. High-production, large capacity four-sided planer/moulder with 4 cutting heads, 5 individual motors, 350mm wide x 160mm high four-sided planing / moulding capacity, 3 – 15 m/min variable power feed, and 6,000 rpm spindle speed.